Recording and assessing marine mammal presence and behaviour. Full technical specifications of the following systems can be supplied upon request; basic functions only are outlined here. OSC-NZ also conducts Sounds-Transmission-Loss-Modelling (STLM; also referred to as Transmission Loss Modelling, TLM), which can be ground-truthed using our noise measurement and monitoring systems. This is a manned product, appropriate for immediate, in-field, real-time decisions about determination of noise exposure criteria, such as the noise thresholds in mitigation zones formulated by the German Federal Environmental Agency (UBA). These 100% redundant OTS hydrophones systems cover a flat-frequency bandwidth from 1 Hz to 470 kHz. Measurements and data are Quality Controlled (QC) in real-time by a primary acoustician qualified to PhD-level in acoustics. Typically, a secondary acoustician, or dual-qualified PAM Operator, is responsible for deployment of the equipment and Conductivity Temperature Depth (CTD) casting (to profile the water column for sound speed). Analysis is achieved on-site, and results are thus available in very near-real time to enable rapid, on-the-spot decision-making. This is an autonomous, all-in-one product used for quantifying ambient/background noise, broadband marine mammal detection (low, mid and high frequency cetaceans, such as baleen whales, dolphins and porpoises), and animal localisation in three dimensions. The product is deployed from the side of a fixed installation, or moored to the seabed. Data are sampled as high as 750 Ksps, on up to five channels, and can be telemetered real-time via a variety of techniques back to a shore-based user. 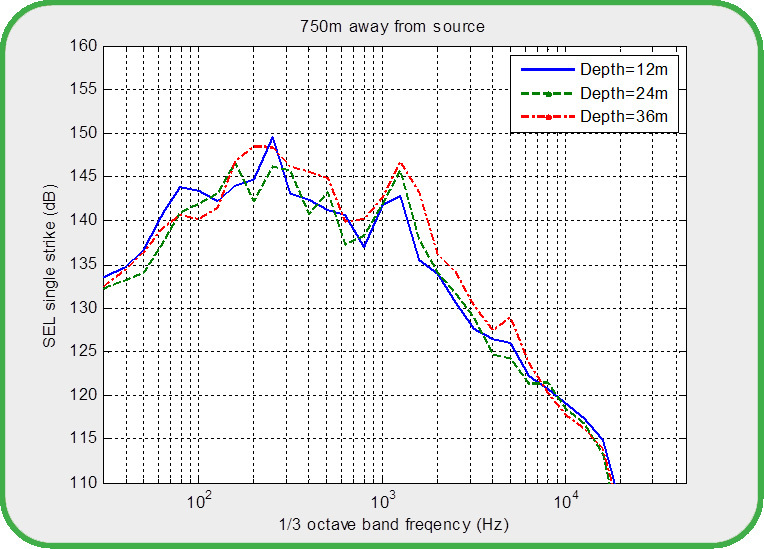 Unlike OSC-NZ’s seismic towed arrays, the system resolves the problem of left-right ambiguity (described on page 282 of the Marine Mammal Observer and Passive Acoustic Monitoring Handbook), by employing beamforming techniques. This enables acquisition of bearing estimation of targets, which renders it appropriate for studying marine mammal behaviour. The system comes with a beamforming ‘app’, enabling the user to detect animals in the presence of strong interferers (such as a turbines). The system offers great flexibility for addition of other sensors, such as cameras, or oceanographical instruments (turbidity, fluorescence, CTD etc.). This product is useful, in that takes noise measurements, and then processes and outputs typical statistics specified by the industry standard. Again, the system is either deployed from the side of an installation or moored. Statistical output system A simply quantifies noise by doing third octave spectral analysis in situ, via a high and low sensitivity hydrophone, providing useful dynamic range. Capable of either recording to solid state hard drive, or live-streaming of data, the system calculates Sound Pressure Level (SPL) and Sound Exposure Level (SEL), outputting all statistics automatically for the user, such as peak, mean, 5%,50%,95% etc. Statistical output system B is a portable and surface version of Statistical output system A. It can be combined with Over-The-Side (OTS) real-time underwater hydrophones to enable it to record or process data. This system is ideal for simple data collection from small boats, obviating the requirement of processing computers, as data can record directly to a solid state disk. A PAMGuard plugin is currently being developed for this system. The system can also be deployed from the side of an installation and configured for autonomous use and live-streaming of data over cellular or a radio modem.